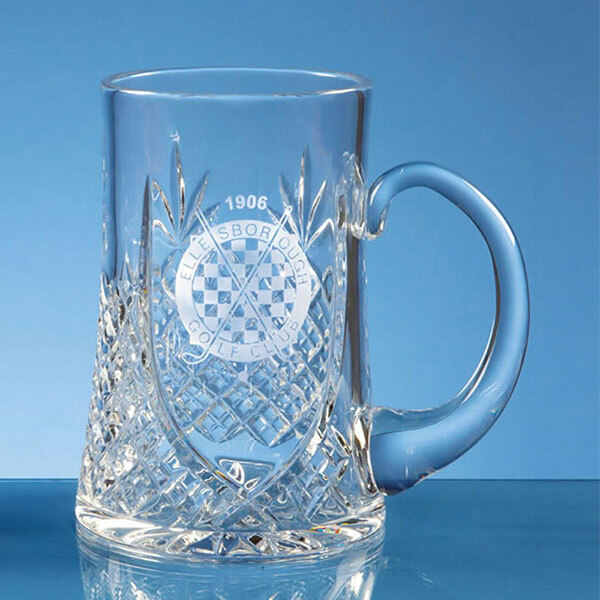 Superb handblown glass pint tankard crafted in lead crystal with handcut decoration on the body and a blank panel for engraving. Offered with an optional satin-lined presentation box. A superb glass pint tankard, handblown in lead crystal and featuring traditional handcut decoration on the body with a blank panel for engraving. These classic tankards also feature a large curved handle. The blank panel can be laser etched with your details or message for a fixed, low-cost fee for your entire inscription. Logo engraving is available free of charge, though a one-off set-up fee applies for new logo graphics. 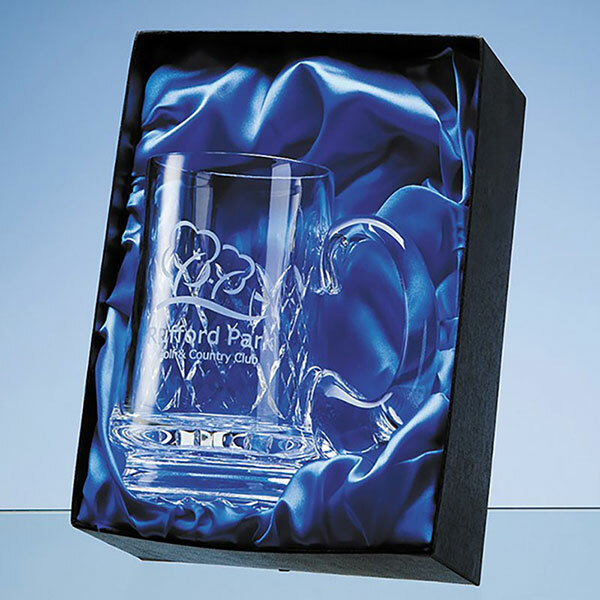 An optional satin lined presentation box is available for these tankards. Capacity: 1 pint / 0.57ltr. Weight: 680g. Height: 138mm. Diameter: 97mm. Excellent product and excellent customer service. When my product was slightly delayed I contacted customer service and they made me a second copy of the product and sent urgently so I got it on time. I ended up having 2 of the product at no extra cost. I would strongly recommend them.